​​​​​​​" This was a long-distance sale - I live in Kentucky and the condo I sold was in California. So it was imperative that I find a realtor I could trust and feel confident with, one with good communication skills and process. On a recommendation from a local realtor, I met Robin and intuitively felt that he was the one I was looking for. I was able to rely on his judgment and sage advice through the entire process - a very quick and satisfying process, I must add. From open house to money in my bank, it took only 32 days. And it sold for more than the asking price! I recommend Robin without reservation." " Robin and his team were excellent to work with. 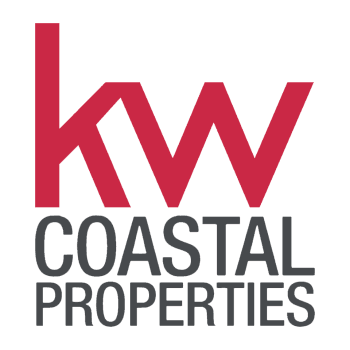 When we interviewed them to handle the sale of our home they came very prepared and were very knowledgeable about the area and the current market conditions. Robin was honest and upfront with the information he presented. My questions and concerns were addressed in a timely manner. Robin and his team made the process of selling our home very smooth and easy. I have already referred him to another family member. Thanks Robin and Team! " "I'm a first time home buyer, I'm young, and getting a place on my own I felt apprehensive about the whole "buying a house" business. I had met several Real Estate agents from different agencies, and was scared of getting forced or pushed into buying something I would later regret. However, once I met Robin, he explained the whole process to me step by step, and I never felt alone throughout the whole process. He helped put me at ease, he knew exactly what I was looking for, and always kept open and honest communication with me. I really felt like he had by back and held my best interest, as opposed to other agents who were merely interested in making a quick sale. He really advocated for me when dealing with difficult listing agents, he was never pushy with me, and his customer service was always excellent! I definitely recommend going to Robin to anyone interested in buying a house. This experience truly has been a blessing and I couldn't have done it without him! You're the best Robin, and I love my new home!" "Robin made our move from New York to California a very pleasant experience. We couldn't have done it without him. Robin is extremely professional, knowledgable and patient. He searched with us for months until we found the home that was right for us. I would recommend him to anyone!" "Good afternoon Robin: First of all I want you to know how impressed I am with the level of professionalism that you have exhibited throughout this entire transaction (includes first time around). Your follow-up and follow-through is a shining example for anyone that would consider a career in your industry; unfortunately, as we both know all-to-well, we deal with far too many people that really don’t seem to care about anything, most importantly about their clients! Again, Robin thanks for all you have done, it is truly appreciated!" "Robin has been an amazing support to our family, we first bought with him as our agentand then had to go thru a traumatic short wale when my husband and I lost our jobs at the same time and he was kind, patient, and helpful in every way throughout the process. We were blessed to be in a position again this past summer after almost two years of being patienwith us showing us properties every 6 months or so we finally closed the deal. Robin never made us feel like anything but a top priority and he is quick to respond and find a solution at every turn. He is the standard by which the industry should be held"
"Robin is great! The home we purchased was our first, so my husband and I knew nothing about the process. No problem, because Robin was there with all the information and support we needed. Our sale was a little unique due to legal issues on the sellers side, but Robin stayed the course. He is a very trustworthy, honest, reliable, and made us feel very comfortable. We would recommend him to anyone without hesitation. We love our new home and can't thank him enough." "Robin was amazing. He took the time to really get to know me and my husband and find out what was important to us. He showed us properties that fit us personally not just our price range but our personalities. He was always in communication with us and he was incredibly fun to deal with. We enjoyed the home buying experience. He took the stress out of things. He was responsive to questions and he held our hands through the buying process. This is a man you want on your team. I highly recommend Robin. You can't get a better realtor." Robin made the whole home buying experience extremely wonderful, we are very happy!" Home & Realty Magazine rates Robin Auwerda with five stars. Robin understands the California Principals of real estate. He executes with stellar control walking his clients through the real estate contract with clutch performance on every transaction. Say YES! To this award winning agent! Robin is a solid Realtor. His professional standards are high and his experience shows through with his knowledge and negotiating skills. A plus: He is personable too. Maybe even funny sometimes. Lol. I have referred buyers to him because I trust him. You will too. Amazing person and real Professional ,will get result! Well, I love a man who wears good shoes and he does, he is genuine and that's a rare trait and he is Dutch! He loves animals and his wife makes a great cookie but bottom line he is kind and sincere and that is what I value most. Thank you Robin for all you've taught me in the short period of time with you. You are an awesome real estate mentor. Robin is the best. If youre in the market to buy or sell your home, make sure you give robin a call! "Robin, Rich and I wanted to thank you so much for helping us find our "little diamond in the rough". We have finally settled in the condo, it's great! We have our view especially. Thank you for all your help, patience, and commitment." "Robin, I wanted to let you know of the pleasure and privilege that I had working with you. You were very professional with a personal friendliness. You were approachable and easy to communicate with and kept me up-to-date on the actions for the sale. I look forward to working with you again, and appreciate your hard working, professional manner." "Robin, you helped us buying our first home and you did an awesome job. We are lucky to have you as our Realtor and now a new friend." "Robin, we can't thank you enough for your patience and hard work. You allowed us to fugure out what we needed and wanted, and standing by us with your big hopeful smile. I'm sure you enjoyed our 10 emails and texts late at night pretty much every day, but hey look at us now. You are embedded in our memories forever. Our lives together began in the house you rented to us and our family will grow in a house you fought for us to get. Lucy thanks you for her big backyard." Thank you so much for your time and energy in helping us find a house. We appreciate your patience throughout the process. Being first timers it was a learning experience. We are excited about the new home! We are writing to let you know of all the great services Robin Auwerda has provided to our family for the last three years. Robin's service was a tremendous help when we bought our first home in 2006. He provided the necessary information and guidance to go through the home buying process from beginning to end. When we decided to sell the house this year, Robin was there to help us with the "short sale" process during this difficult year. Robin made the "short sale" happen in less than three months. Robin is a "guardian angel" who is always there to help. When family members and friends are in search of buying or selling a home, we recommend them to contact Robin. We are thankful to have Robin. We wish Robin, you and your company a Happy and Prosperous New Year.